This walk-in ACE location is at the intersection of Daly St and E Ave 26. Due to the area, there should be plenty of metered parking for customers at this walk-in location. LA Metro’s Bus line #28, #83, #251 and LADOT’s DASH Lincoln Heights/Chinatown each have a stop at Daly/Pasadena, across from this location. Check their websites for routes and regulations. Hungry? This ACE store is down the street from Jack in the Box, Mr Steve Donuts, and Yoshinoya. When Montecito Heights Needed Quick Funding, Auto Title Loans Powered by LoanMart is There! 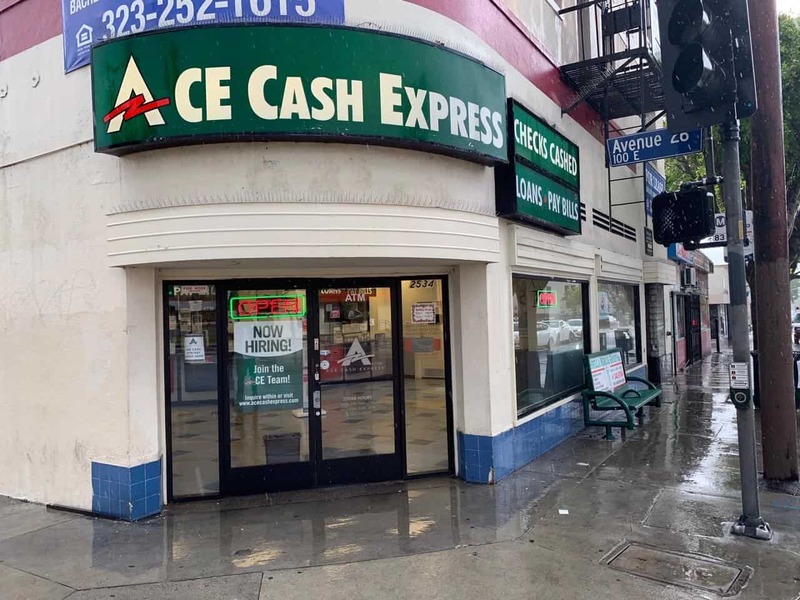 No matter the reason Montecito Heights residents have when looking for affordable and quick funding, the ACE Cash Express location may have the solution with an auto title loan powered by LoanMart. By securing an auto title loan powered by LoanMart with a vehicle’s free-and-clear title, they can take advantage of a streamlined application process that may get the funds they need quickly if they qualify. They may be eligible to borrow up to $30,0001 in as little as one business day3 depending on various factors, including the equity of a qualifying vehicle and their ability to make regular monthly payments on time. High approval rates to welcome customers of unique credit types! Some of the most competitive interest rates in the industry. Receive funds as quickly as one business day if you qualify3. In some cases, additional documents to verify your income and residency may also be requested by agents. An auto title loan may be the ideal solution for those Montecito Heights residents who need money right away, but don’t have time to deal with the traditional lender bureaucracy. Applying is free and there’s no obligation, even if one does qualify. Call via toll-free number, chat online or check out the ACE Cash Express location today for more information!